Now in 2017, their second full length “Impervious” is crashing the gates and kicking the mosh pit into overdrive. 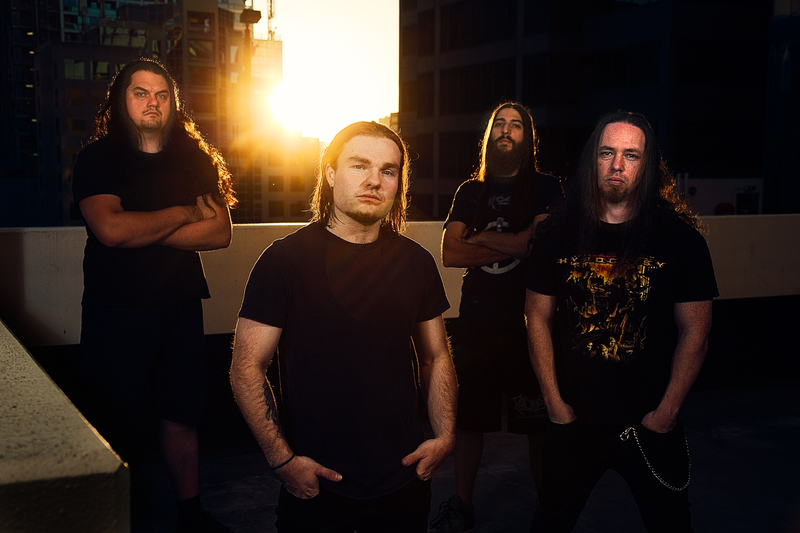 “Impervious” features nine glorious thrashing tracks blazing a bigger trail for this Aussie powerhouse. The album mixed and mastered by Erin Hamidovic (Devin Townsend Project, Sikth, Animals As Leaders, Periphery, Elm Street) and will be available on iTunes, Spitfy, Amazon, Bandcamp as of October 6th, 2017 . MASON are endorsed by ESP Guitars, Blackstar Amps and Ernie Ball Strings USA. 1. Elgios (Intro) – Imagine walking into the gates of hell.2. Burn – Fast brutal and fun to play live. 3. Tears Of Tragedy – This is our favourite song of the album. Such a fast song lyrically, this song has it all. Classic thrash, ripping solo’s and a killer melodic break down. 4. The Afterlife – This is where the album starts to get complex and interesting, this song has a lot of technical parts and there’s a lot of cool elements going on playing and writing wise if you really listen. 5. 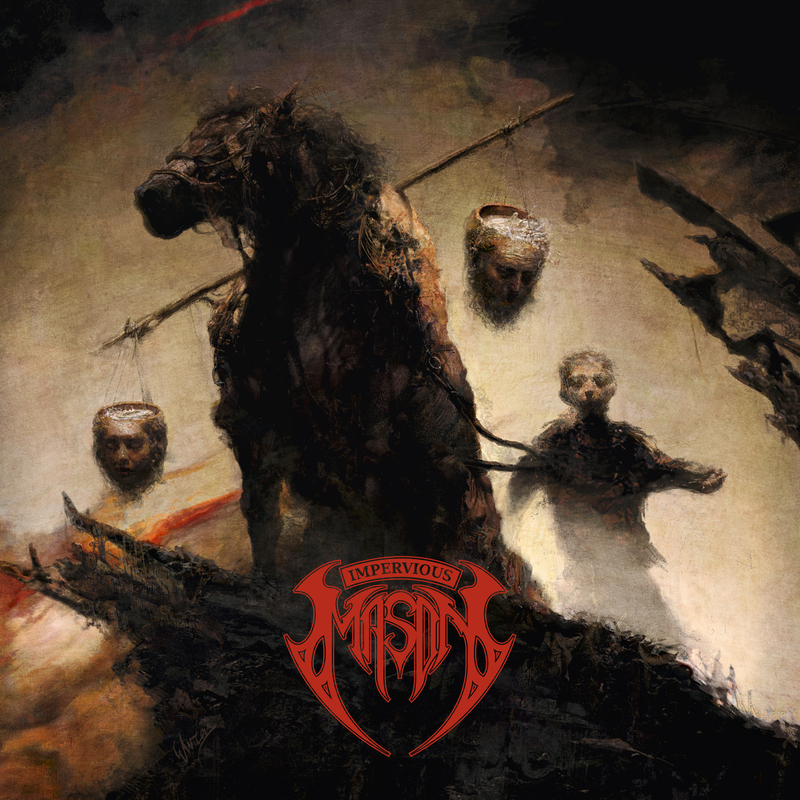 Impervious – The title track of the album. One word, EPIC! 6. Cross This Path – This song has really taken over as the ‘mosh pit’ anthem. There is so much energy and aggression every time we play it live. As a lyricist, I was really proud of this one. 7. Sacrificed – Grant Burns and his jazz timing. This song we definitely stepped out of our comfort zone and experimented with a lot of different elements. From a crushing riff out to a technically proficient lead section. Truly a song that we are incredibly proud of. 8. Hellbent On Chaos – One of the heaviest intros we have ever written, this has spawned from the intro Eligos, so we decided to adopt it and make another song and a beast was created. Thrash attack! 9. Created To Kill – We wrote this song based on “The Walking Dead” TV show. We love it and thought it would be cool to write a song that would fit the show and hopefully maybe it gets picked up and we never have to work again haha. Vocally this song came out the best! The perfect ending to this album.